Stationery lovers, pay attention. The Bombay Paperie, a boutique located in South Mumbai, specialises in making beautiful and unique paper products made from recycled cotton pulp. The shop, when you enter it, is a burst of colours. 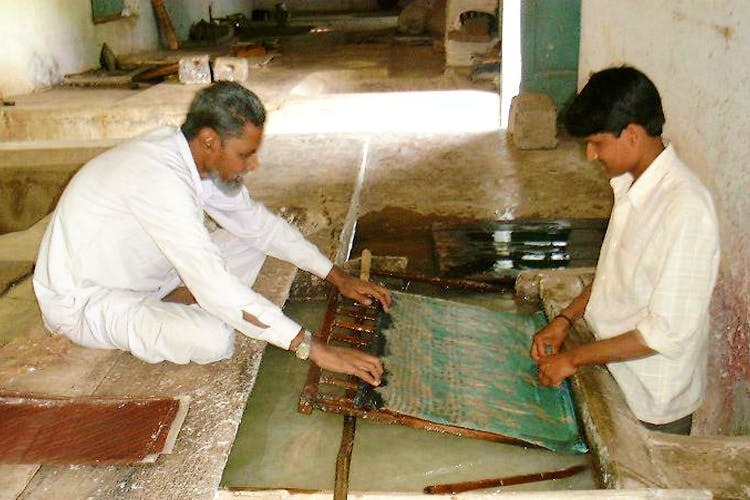 They sell a variety of products, all made with an ancient paper-making tradition which dates all the way back to the Mughal era. Each sheet of paper has been pain-stakingly made by paper-makers working out of Aurangabad. Their store is beautifully done up. Sheets of paper, in all shades imaginable, are stacked up against the walls. Paper lanterns – also made with the same material – are hanging over all their products, lighting the shop up in a warm glow. Paper decorations hang from the ceiling, and a beautiful wooden table in the middle of the store displays more of their paper. The paper has a very interesting texture to it, one that any stationery-lover will marvel at – soft and rough at the same time. The sheets are all graded by colour, making the shop even more visually appealing. The paper is textured and slightly frayed at the edges, which make it ideal for any DIY projects you might have been considering. You can also try it out for home decor purposes – maybe upholster an old cupboard with these? They also sell folders with notepads and envelopes if you want to jazz up your official correspondence, for INR 250 a pack. If you love stationery, and are tired of seeing the same old mass-produced stuff at every outlet, go check this boutique out.